Industrial Engineer for the High Technical School of Bilbao – Universidad del País Vasco and Project Management Graduated at IMPI. General Manager of CARSA. Founder of Innovalia and of Innovalia Metrology. Vice-president of ia.cmm. Has many years of experience as an assesor, consultant and technical assesor of many R&D national and international proposals of projects. Homologated by the European Comission as a PTA (Project Technical Assistant) for the Growth and IST programmes 2002 – 2007, V and VI Framework Programmes. Prof. Dr.-Ing. 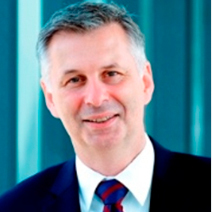 Robert Schmitt, born in 1961, is head of the Chair of Metrology and Quality Management and member of the board of directors for the Laboratory for Machine Tools and Production Engineering WZL of the RWTH Aachen University. He is also head of the department Production Metrology and Quality of the Fraunhofer Institute for Production Technology IPT as well as member of the board of directors of the Fraunhofer IPT. Maurizio ERCOLE, born in Savona (north western Italian coast) on August 22nd, 1949. Graduated in Mechanical Engineering at “Istituto Tecnico Industriale A. Avogadro” of Torino. Fluent in English, French and German. Started his activity in mechanical design at Snia Viscosa (2nd largest Italian private industrial group) where, during 4 years, he was involved with the design of machinery for synthetic and artificial fibre production. In 1977 he joined DEA (Digital Electronic Automation) as responsible for Application Department. During the 25 years spent with DEA he covered the positions of Product Manager, R&D Group Leader, Marketing Manager and General Manager. Owner of a number of important patents in Co-ordinate Measuring Technology such as the Measuring Robot, Automatic and Manual Flexible Fixturing, etc. 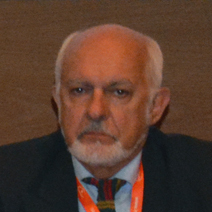 Maurizio ERCOLE retired in 2004 and is currently Chairman of the Board of the ia.cmm, the International Association of Co-ordinate Measuring Machine Manufacturers. Many of his publications have been translated in 10 different languages. Telecommunications Engineer (option: Electronics) from the Polytechnic University of Catalonia (UPC), Spain. Founder and General Manager of DATAPIXEL in Spain. Specialized Technological Consultant for CARSA. 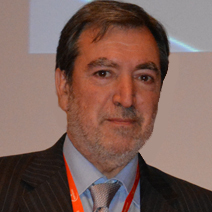 He is Member of the Executive Committee of the European Machine Vision Association (EMVA) and of some international committees working on standards, one of them is the OSIS committee (Optical Sensor Interface Standard) of the ia.cmm. Former Manager of the Computer Vision Centre (CVC). Author of a great variety of technicals papers and seminars in Computer Vision, Image Processing, 3D Vision y Virtual Metrology for the industrial and medical areas. 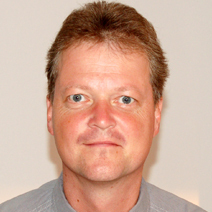 Dr. Hans U. Danzebrink obtained his Dipl.-Ing. degree for electrical engineering from the Technical University of Braunschweig. In 1991 he joined the Physikalisch-Technische Bundesanstalt (PTB) and received his PhD degree in electrical engineering on a development of new high-resolution microscopy methods in 1996 from the Technical University of Braunschweig. Currently he is head of the working group for “Scanning Probe Metrology” in the department of “Dimensional Nanometrology”. Since more than 18 years he is involved in dimensional nano- and micrometrology. His fields of work span from the development of compact scanning probe heads, metrological scanning probe systems to novel interferometric position sensors. 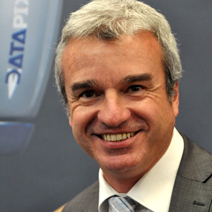 Prof. Simone Carmignato is a research scientist at the University of Padua, Italy, where he teaches Manufacturing Technology as well as Quality and Metrology in Manufacturing. He has also been a visiting professor at the Technical University of Denmark and spent several study and research periods abroad, at important international research centres, including Boston University and the German National Metrology Institute (PTB). 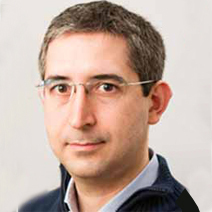 Simone Carmignato has coordinated and participated to international research projects in the fields of Precision Engineering and Industrial Geometrical Metrology. He is author of five patents and more than 100 international publications. He is active member of leading scientific societies, such as CIRP, EUSPEN and IMEKO, and has been member of international scientific committees, session chairman and organizer of conferences. He has also been invited to give keynote speeches in a number of international conferences. In 2009 he received the AITEM young researcher award from the Italian Association of Mechanical Technology. In 2012 he received the F.W. Taylor Medal from CIRP, the International Academy for Production Engineering.